Once you click on the "Buy Now" button, you can check out with our secure credit card processor Stripe or via Paypal. You will receive a link automatically once payment is complete that will allow you to download your course materials immediately. Orders can also be placed by phone or mail. Call 952-412-0566. To order by mail, please make your check payable to Center Stage Home and include your name, e-mail, and mailing address. Thank you for checking out our Home Staging Expert® Certification Course! Considered leaders in the Home Staging Industry, we've put together an affordable, comprehensive course designed to get you up and running fast without having to take time off or travel to earn your Home Staging Expert® certification! Our course covers both the "How-To" aspects of staging a home, as well as "Business and Marketing," specifically geared toward this unique industry. Whether you're starting a staging business from scratch, adding staging to an existing design business, or a Realtor® interested in offering this service to your clients, our course provides all the information you need for success! Why is our course different? We pride ourselves on our working-home-stager status. The vast majority of companies offering home staging courses cannot claim the same. But staging homes is what we've been doing since 1999 and it's what we love to do! We know how to handle every situation, what works and what doesn't work, and how to turn any home into a staging success story. Our experience, streamlined methods, and ability to communicate what needs be done to get the homeowner on board are just a few of the reasons our course is ranked superior. We make it so easy! Our online manual can be downloaded directly in PDF format and saved to your computer so you will always have access, even after completion. It is the exact same manual and materials we use in our much more expensive 1 & 2-Day Workshops! You'll receive straightforward guidelines that are simple to follow no matter your current staging aptitude, along with techniques and instruction that can be applied to any home. We actually make it fun and provide visual examples to enhance your staging knowledge and enrich your learning experience! ABOUT HOME STAGING AND THIS COURSE - A summary on the history of Home Staging and what you will learn in this course. Includes a listing of what you will find on each page for easy access. UNDERSTANDING THE HOMEOWNER - To work successfully with your client, it is important to understand where they are coming from. Throughout the course, we will teach you what to say and how to say to ensure things get done and everyone is happy. 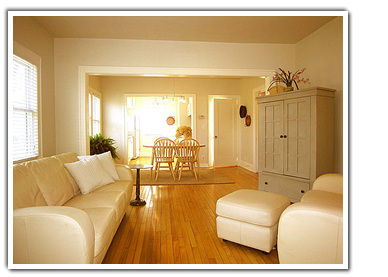 HOME STAGING SERVICES - You have options when it comes to what staging services you might want to offer. It all depends on how involved you want to get in the process. We give you the knowledge so you can decide what best fits into your business model. Consultations - You will learn exactly how to perform a consultation that is both accurate and efficient and will make total sense to your client, prompting them to get things done. We not only show you the exact steps for a successful consulting session, we also provide a copy of a written consultation sample. Hands-On Staging - To ensure your client is on the right track, some agents prefer to undertake staging head-on. This section will give you suggestions on how to take this on with the home owner's assistance and how to get it done quickly with less hassle. Once you have earned your HSE® certification, you will have unlimited access to a downloadable Home Assessment Sheet that provides a check-off list for your client on the spot, as well as a Consultation template that can be utilized at any time. USING YOUR HOME STAGING SKILLS TO SIGN A LISTING - If you’re a Realtor®, offering staging services can give you an edge over your competitors. We will show you how to present your skills and show off your knowledge during a listing appointment to help you gain the advantage. PRICING YOUR SERVICES - There's always the question of how to be compensated for your staging skills, if you plan to start a home staging business, we help you figure out your pricing and how to get paid. If you're a real estate agent, whether justifying a higher commission, selling the home faster for a better price, a monetary fee, or a combination of all three, we give you options! By including pricing info, this will help you understand the fee structure to place a monetary value on your own skills. SUPPLYING STAGING PROPS - Inevitably, they'll be a house out there in need of a little something. We include information on our most frequently used items. We also discuss options for the homeowner to borrow, purchase, or rent these items and how to get compensated if you decide to rent from your own supply. STAGING A VACANT HOUSE - Included are several options and scenarios to choose from whether contracted through a secondary company or provided by you directly for monetary gain. Accessories Only Staging - Exactly as stated, this option is the art of warming up a listing and highlighting the features of a home using only accessories such as artwork, lighting, mirrors, and greenery. While minimal effects are used, the impact can be huge on an otherwise vacant property. Partially Furnished Staging - We have personally found great success when staging a home using only a few main furnishings along with accessories to warm up the space. While a step up from an Accessories Only Staging, inserting several larger furnishings can make the space feel more finished and give buyers a better perspective on how their own furnishings might fit. Fully Furnished Staging - This option is of course at the top of the pricing list, but also provides the most finished looking results. Depending on the listing condition and price point and what other houses in the area are doing, it is frequently a very worthwhile investment. RENTING FURNISHINGS VS. OWNING FURNISHINGS - We are well aware that not everyone wants to start supplying rental furnishings, and most Realtors® have absolutely no desire to become full-time stagers and maintain a storage unit stocked with furniture. However, please note that we stage many, many properties with full furnishings that can be easily transported without assistance! While renting furniture is absolutely the best option in some cases, there are also quite a number of other options out there that could literally save you and your clients big money. This section shows you exactly how to do it with minimal investment and very little overhead. At the very least, possessing this knowledge will help you direct your client to making an informed decision for a practical solution they can implement themselves. If you do plan to start supplying furnishings yourself, we include that too and teach you exactly how to start building up your inventory along with pricing. THE ELEMENTS OF A WELL-STAGED HOME - Instructions on all the best techniques for staging a property for market including Curb Appeal, Staging the Interior of a Home, Creating Balance, Creating Flow, and Highlighting Features. We also include a set of Home Staging Guidelines that simplify the process, as well as the Top 5 Home Staging Do's and the Top 5 Home Staging Don'ts. CHOOSING THE RIGHT PAINT COLORS - One of the most underrated and often overlooked aspects when preparing a home for market is choosing the right paint colors. While the knee-jerk reaction is often to choose the most popular colors of the moment, this approach can frequently undermine your best intentions. Did you know that choosing the right paint color can actually tone down dated flooring, help worn countertops blend in, or make otherwise bland trim really pop? In this course, you will learn how to downplay unattractive attributes and play up positive features simply by understanding what colors to recommend to your clients for the right backdrop. 10-STEP BUSINESS AND MARKETING PROGRAM - Our detailed 10-STEP BUSINESS AND MARKETING PROGRAM will give you the proven formula you need to succeed no matter if you’re a Realtor® adding staging to an existing business model or starting your own staging company. We cover the importance of each and include how-to advice. FINAL EXAM - No reason to panic! It's actually a very fun final exam and will give you some hands-on experience. There is no additional fee to submit your final for certification. Once complete, you will receive your certificate in the mail as well as a code to enter the Member's Area for your logo, downloadable Home Assessment Sheet and Consultation template, as well as instructions on how to submit your free business listing to us at www.homestagingexpert.com. At the end of the Home Staging - Home Study Course, you will be given three final exam options, required to earn your Home Staging Expert® certificate. Once completed, you will be allowed to use the HSE® (Home Staging Expert®) Designation, along with the logo, for your marketing materials, giving you instant credibility in this exciting industry! "Calming an unruly paint scheme had a positive effect on this space by creating a warm glow and placing attention back on the hardwood floors... a positive selling point!" Once you have completed your final exam, you will receive your certificate in the mail and will be listed on our web site at www.homestagingexpert.com. You will also receive instructions to sign into our Home Staging Expert® Forum for on-going support. And each month, will receive our monthly newsletter to keep you up-to-date on the latest industry trends, news, and stories. "I'm a Realtor®, not a stager. And while I may never go all out and physically stage my own listings, your course was very comprehensive and user friendly. I now feel like an expert when advising my sellers on what to do." "I purchased your course on a Friday, went through it over the weekend, and by Monday I was able to put all the information to good use on a listing that's been sitting on the market far too long. Within a week, we received two solid offers and the house is currently under contract. My clients are thrilled!" "I sold the first house I ever staged in five days thanks to the skills I learned from this course! WHOO-HOO! I ROCK!" "Gave my client a short 'to-do' list and presented it in the manner suggested. Came back the next day and they had already completed everything on the list! I don't think that's ever happened before." "This is the third home staging course I've taken over the years and I do wish I had taken it first. I would have never needed the other two." "Thanks to your training course, my wife has been able to work with me side-by-side as a Home Staging Expert® which has already proven to be a huge asset! 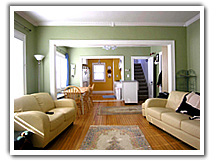 We plan to offer staging to all of our clients as a 'value-added service' per your suggestion." "Honestly, I usually hate online courses, but this one was different. Not only was it informative, but it was practical and easy to read. Your sense of humor comes through and you lay out the materials in such a way that I never got bored." "Your writing style is both approachable and very down to earth. Using your guidelines, I found the process much less intimidating." "Thanks to this course, now 'I LOVE STAGING HOMES', too!"